It is a difficult task to present scientific data to an audience in a relevant way. Put yourself in your audience’s shoes. There is a great cognitive load involved in processing novel concepts and computing data in a short amount of time. When a presenter rattles off statistics or plasters large data sets on the screen, it is impossible to process that information and listen to what the presenter is saying at the same time. Our job as presenters is to summarize our work into takeaway points and to guide our audience to a greater understanding of those points. Often, since we are close to our projects, we fail to include key pieces of information that would allow the audience to understand our work. We must take a step back and see the data as someone new to the project would see it. Even the most non-artistically-inclined presenter can benefit from an understanding of basic visual communication principles. People remember information better when they’re able to picture it in a way that makes sense, and presentations that tap into this have a much bigger impact than those that rely solely on text. Getting a grasp on these basic principles will help you to bridge the communication gap, so your audience will be as excited as you are about your results! All too often, presenters crowd slides with text and read through each slide as they lecture. This comes across as lazy, and it’s really hard for the audience to follow. It’s much more effective to simplify your text down to just a few bullet points, ideally with a picture on each slide to reinforce information as you speak. Your audience will associate the image with the information you present and thus be better able to recall it. If you take away nothing else, remember this: edit down your work to just a few short, simple bullet points on each slide, and include images when possible. Don’t ever crowd the slide with blocks of text or large amounts of data. You’ve probably heard the anecdote: if you can’t explain what you’re doing to a child, you don’t understand what you’re doing. Making your presentation simple doesn’t mean “dumbing it down” for a lay-audience. It actually takes a greater understanding of your work to condense it down to its essential components. Scientific presentations almost always involve data. While tables are the easiest way to get that data onto the screen, unfortunately they are the least effective way to display that data or demonstrate its meaning. Likewise, spouting large amounts of data verbally is impossible for your audience to digest, and this is the quickest way to lose their attention. Charts and diagrams are absolutely crucial for presenting data. Even the guy in the back of the room will quickly and easily see all of your data at once and can focus on listening to your explanation for what it means. Don’t forget to apply the first principle here too – make your charts simple and focused. Begin your presentation with a simple diagram summarizing the scope of your presentation and the main points you will be making. Again, keep it simple, and use images when possible. In between sections of your presentation, remind your audience of where we are in the big picture by referencing the diagram. Briefly summarize what we’ve covered and where we are going next – this will help keep your audience engaged instead of being lost in information overload. Throughout your presentation, create a logical flow from one set of data to another using lines, arrows, and images. Think of it as storytelling, where your job is to guide your audience from the beginning to the end, including your successes and failures along the way. For inspiration, do a google search for best infographics – you’ll see how the pros take complex information and guide the viewer through each point step by step. 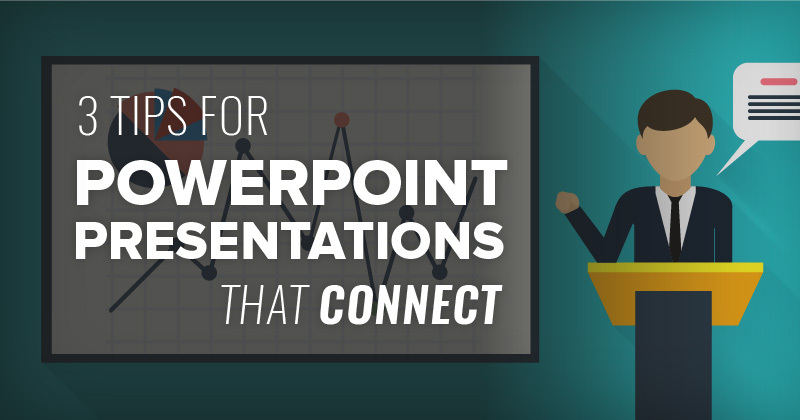 Need help with your presentations? Our graphic design and copywriting experts can bring your content to life to help you engage with your target customers. Get in touch with us to learn how we can help you maximize your resources and achieve your marketing goals faster. Joel is a scientist, writer, & graphic designer specializing in life science technical marketing communications.